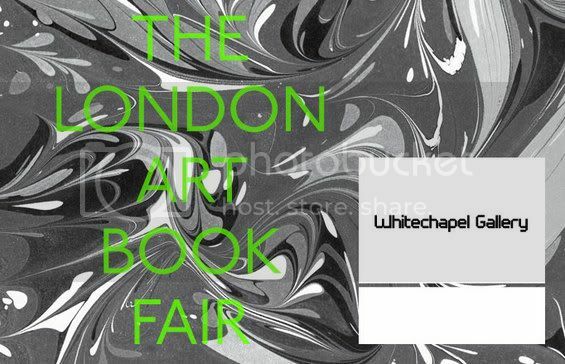 Last week I went to the London Art Book Fair at the Whitechapel Gallery. I had been looking forward to it for a while and it didn't let me down! I really enjoyed it and felt like I could have spent forever there taking everything in. Upstairs was the best as that was where all the unique and handmade publications were, I didn't spend much money but could have easily! However I did write down a few names of books for my dissertation research. 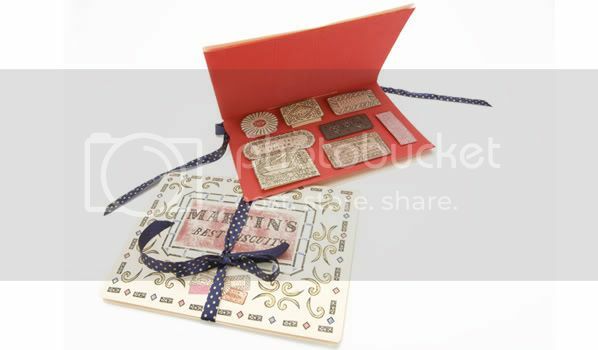 My absolute favourite bookseller was Ruth Martin who made some amazing little books and products. The illustrations were adorable in themselves but the unconventional formats for her books were really clever, together with fun stories and jokes. Books about biscuits and sweets are always sure to be a winner! 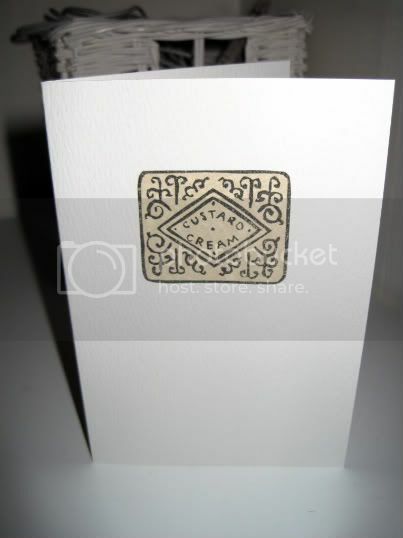 I really wanted to buy something from her but all I could afford was this card with a custard cream on it! I then made my way to the Rebecca Hossack Gallery to see an exhibition by John Dilnot called Natural History. This was only a small exhibition but I absolutely loved it. 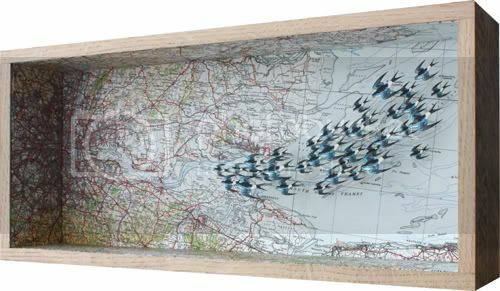 He makes amazing 3D scenes in wooden boxes of birds and maps. 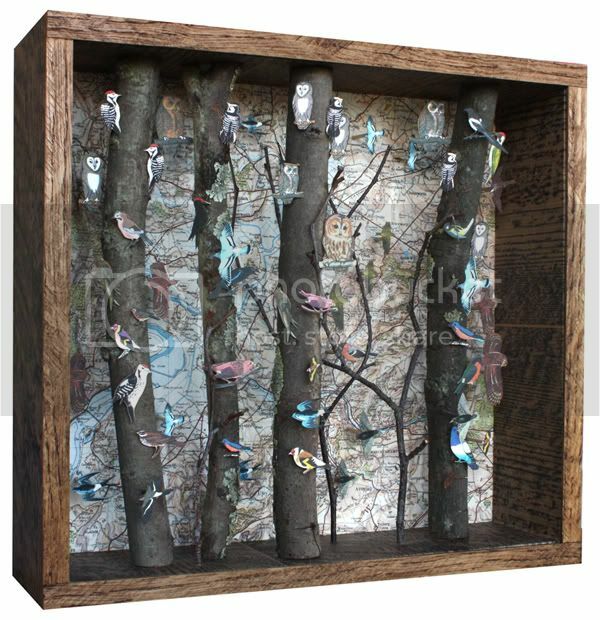 They cost a fair amount each (thousands) but it's understandable given how much detail and depth there is to them. 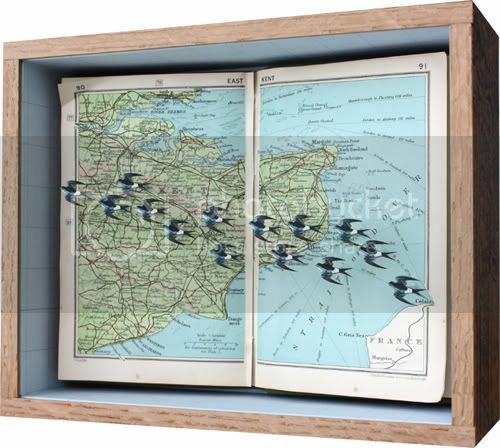 My favourite boxes by him have real branches in them, where the birds sit, but i equally love the birds that fly over different maps. Who am I kidding, I love them all! 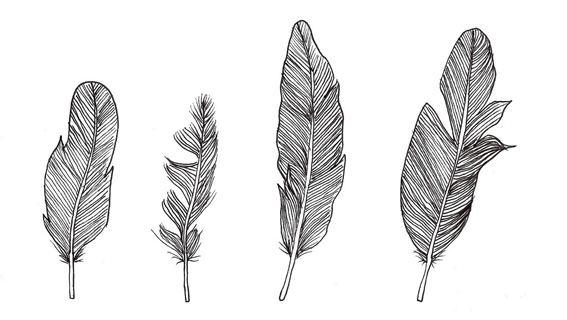 So altogether I highly inspiring day, so much so I felt a little sick (in a good way).